If you have a Fan Page for your product or website on Facebook and have another fan page on Twitter and you don't have enough time to publish your stories on both, this solution is for you! 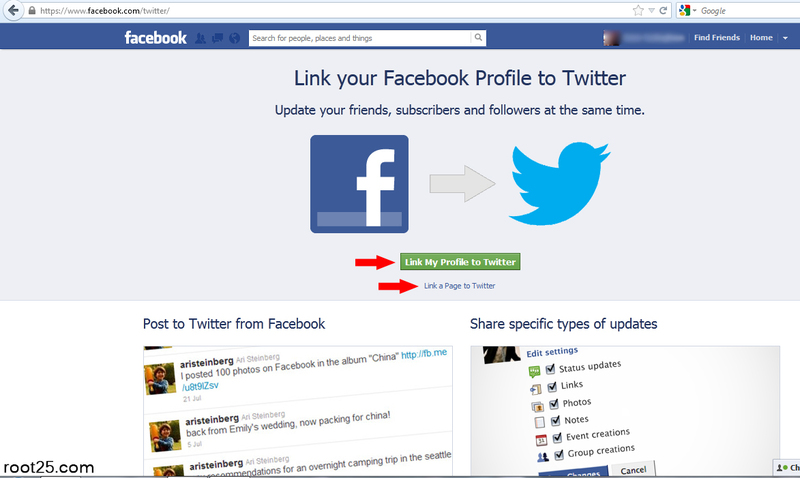 By connecting your Twitter account to your Facebook , any post that you do in Facebook it will automatically add to your Twitter account! 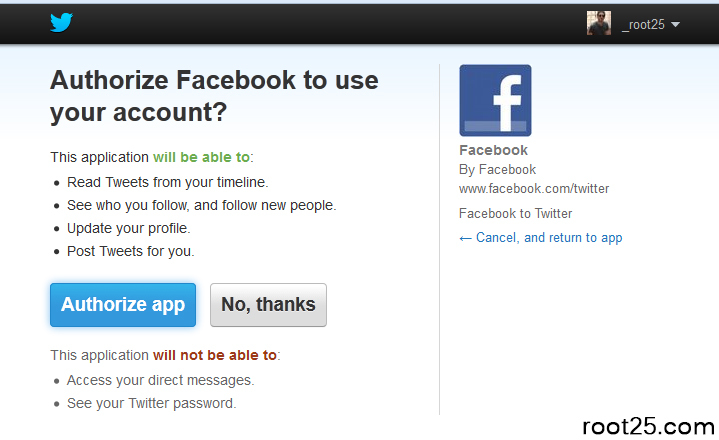 Be sure that you are logged in in both Facebook and Twitter accounts. Now your Facebook account is connected to your Twitter account, you just need to select the setting in this page. Later if you need to Unlink Twitter from Facebook account go to https://www.facebook.com/twitter/ and under the name of your profile or your page name click "Unlink from Twitter".